Discussion on Hebrews 8 and Jeremiah 31 regarding the New Covenant and its meaning from a Messianic Jewish perspective. Discover why the New Covenant is not the New Testament, the “Renewed Covenant,” nor the “Brit Chadashah.” Find out what the New Covenant really is and how the Torah is part of the New Covenant. A foundational teaching for everyone interested in Messianic Judaism and the role of Torah in the lives of disciples of Yeshua. I suppose I could just point you to part 1 of my review of Lancaster’s lecture series What About The New Covenant and call it good since it seems he intends to repurpose that material in the next four “Hebrews” lectures, but that probably wouldn’t be fair. Also, I don’t think he presents the information in exactly the same way, so I should review today’s sermon on its own merits. I’ll skip over Lancaster’s introductory section since I don’t think it adds very much, and cut to the chase. The Old Testament does not equal the Old (Sinai) Covenant and the New Testament does not equal the New Covenant. Christianity has very poorly named these two major sections of the Bible, or at least named them with the intent of misrepresenting what the Old and New Covenants really mean. Christians really take this naming convention seriously, though. I remember having a conversation about this with the head Pastor at the church I currently attend, and when he said that the books of the New Testament really were the New Covenant, I could scarcely believe my ears. How could someone so intelligent, well read, and well-educated as Pastor Randy actually believe this? That’s how seriously Christianity takes the doctrine of New Testament = New Covenant. But as Lancaster establishes in his sermon, that doctrine is dead wrong. Lancaster knocks down all of the standard Christian arguments and if you want to know what they are, you can listen to the audio recording. The link is at the top of the page. What we call the New Testament is really the writings of the Apostles or what I call the Apostolic Scriptures. They contain information about the New Covenant, but the actual covenant is found in the Old Testament writings or the Tanakh. The writer of the book of Hebrews, just as he made a comparison between the Levitical and Melkizedekian priesthoods and between the earthly and heavenly Temples, is now introducing a new comparison. He compares the Old and New Covenants (see last week’s review: Sermon Review of the Holy Epistle to the Hebrews: Shadow and a Copy for more information). But now He has obtained a more excellent ministry, by as much as He is also the mediator of a better covenant, which has been enacted on better promises. For if that first covenant had been faultless, there would have been no occasion sought for a second. Here’s one of the places Christians point to in the Bible and say, “See? The Old Covenant is bad and the New Covenant is better,” implying not only that grace is better than the Law (and that the two are mutually exclusive) but that it replaces the Law. Except as we have heard in previous sermons, what was at fault with the Old Covenant priesthood wasn’t that the Law was bad or that the Temple or sacrifices were bad, but rather, all of that couldn’t grant resurrection and immortality. The Levitical priests were human, they were mortal, they died. They also had their own sins to deal with. But then again, as Lancaster has said already, that system was never designed to remove sins permanently and to make us sinless human beings. That’s why we need a New Covenant and why God had it planned all along. 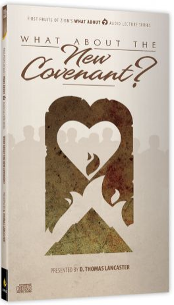 But what is a Covenant? I mentioned that the New Testament is not actually the New Covenant and thus the Old Testament isn’t the Old Covenant. Guess what? The Old Covenant isn’t the Torah, it’s not the Law. Some of you, unless you already know or have read my commentaries on the New Covenant, are probably shocked that I had the nerve to say that. But it’s true. That’s the Old Covenant, also called the Sinai or the Mosaic Covenant, in a nutshell. God makes a proposal. That’s the Sinai or Old Covenant. The Law or Torah are the conditions of the covenant but the not the covenant itself. The covenant is an agreement between two parties, in this case between God and the Children of Israel. The Torah contains the conditions that must be obeyed, what the Israelites agreed to do as their part of the bargain. I call heaven and earth to witness against you today, that you will surely perish quickly from the land where you are going over the Jordan to possess it. You shall not live long on it, but will be utterly destroyed. The Lord will scatter you among the peoples, and you will be left few in number among the nations where the Lord drives you. There you will serve gods, the work of man’s hands, wood and stone, which neither see nor hear nor eat nor smell. But from there you will seek the Lord your God, and you will find Him if you search for Him with all your heart and all your soul. When you are in distress and all these things have come upon you, in the latter days you will return to the Lord your God and listen to His voice. For the Lord your God is a compassionate God; He will not fail you nor destroy you nor forget the covenant with your fathers which He swore to them. Here’s another news flash. We are still living in Old Covenant times. The New Covenant hasn’t arrived yet and it won’t until Jesus (Yeshua) returns. That means the covenant and all its conditions established at Sinai are still in effect. Jewish people, including Jews in Messiah (Messianic Jews), are still under a covenant obligation to observe the Torah mitzvot. Please Christians, don’t try to talk them out of it. That would be a mistake. OK, if that’s the Old Covenant, what’s the New Covenant? The New Covenant will not reach fruition until the Master drinks the cup of the Covenant in the Messianic Kingdom to come. There’s a lot more to it of course, but this is as far as Lancaster intends to go in his first sermon on the topic. Remember, that a covenant is an agreement and the agreement contains certain terms and conditions that each party is supposed to uphold. In the Old Covenant, God’s part was He would be a God to Israel and make her a kingdom of priests and a holy nation. But that’s only as long as Israel did their part, which was obey the terms and conditions listed in the Torah. When Israel failed their end of things, God withdrew but not completely, sent the nation into exile, and applied any number of disciplinary measures. When Israel repented, God returned to them and returned them to their Land, the nation of Israel. So what changes in the New Covenant? Isolating just that sentence, it seems that God intends to write His Law, that is, the Torah, on the hearts of the Israelites and He will continue to be their God and they will continue to be His people. Here’s how Lancaster laid it out. God puts the Torah inside of people rather than them accessing an external source and attempting to obey the covenant’s terms and conditions. The terms and conditions under the New Covenant are made internal for all the Jewish people so it’s natural for them to obey said-terms and conditions of the covenant. But they are the same terms and conditions listed for the Old Covenant! The only difference between the Old and New Covenants is where the terms and conditions are written. There’s nothing wrong with the Old Covenant conditions except that human beings are faulty. The first covenant was not faultless, not because the covenant was at fault but they were at fault, that is the Israelites were at fault. They agreed to obey God but they repeatedly disobeyed. God’s solution to the problem of repeated disobedience wasn’t to annul the Old Covenant and its conditions but to make its possible for people to obey the covenant conditions by creating a New Covenant. God didn’t change the Law, He changed, or rather, He will change the people. The Church teaches that God did away with the Old Covenant and all of its terms and conditions completely and “dumbed down” the standards for human obedience. Instead of obeying God all we have to do is believe in Jesus Christ. Except that’s not what the Bible says the New Covenant is. But as I mentioned above, the Christian doctrine of the New Covenant is a dearly held assumption, even if it’s completely in error. In Lancaster’s understanding of the New Covenant, it’s not here yet but it’s near. Jesus said repeatedly, “Repent for the Kingdom of God is at hand” (Matthew 3:2). That’s our job. To repent and to repent now! As much as we are able, we should try to live as if the New Covenant Era has already arrived, we should try to have as high a fidelity to the standards of God as we can in preparation for what is to come. No, it’s not easy, but before it gets easier, it’s going to get a whole lot harder. As I’ve already said, I’ve gone over this material before so it’s not exactly a revelation, but as I was listening to the recording, I came up with an obvious problem. We people of the nations are included in the New Covenant blessings. That is, by faith in Messiah, we too will be resurrected in the next age into immortal bodies and live in an era of total peace and tranquility. But what will we have written on our hearts? The Torah? Will we be like the Jews? 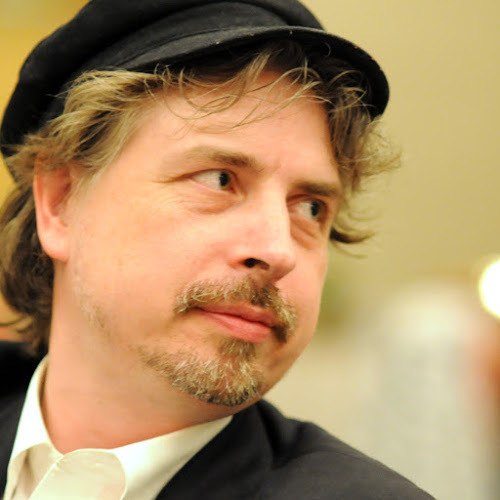 Will we be “grandfathered in” to Judaism? Will we be Jews? Lancaster may cover all this in subsequent sermons, but it’s a compelling set of queries to consider now. Remember though that the prophet Jeremiah was writing to the houses of Judah and Israel who were about to be sent into the Babylonian exile. Most of his writing was really bad news and he inserted the information about the future New Covenant times to give them hope. But Jeremiah wasn’t writing to Gentiles at all. The writer of the epistle to the Hebrews was Jewish and he was writing to other Jews. He wasn’t writing to Gentile disciples, so he didn’t have to take them into account when he crafted the language of his letter. We Gentile Christians read Hebrews and the rest of the Apostolic Scriptures (and the rest of the Bible) as if it were written exclusively for us in the present age. 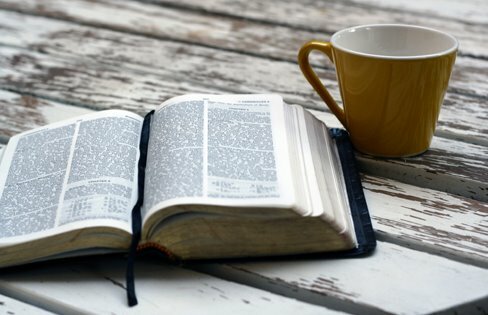 But while the Bible certainly does have applications for us in our world today, that doesn’t mean every single page is addressing us and our issues. Maybe this epistle doesn’t present an explanation of the New Covenant that takes Gentile disciples into account. I guess we’ll find out in the next few weeks or so. The Gentiles will be learning something very similar, not sure though… For during the Messianic age the whole of humanity will know of HaShem – the G-d of Jacob. In the last days, the people of the nations of the Earth will go up to Jerusalem and come alongside the Jewish people in Israel to give glory to the King and learn of his ways. Our hearts will be circumcised and we will achieve an apprehension of God as did the prophets of old. It will be wonderful. That the only difference is where these terms are written. But without a functioning physical priesthood (with Mishkan/Temple) how is it possible to function ANY of the Torah conditions? leaves me wondering how one can make the disconnect with the change in the priesthood that precipitates a change in the law. I always come back to this point. Who and where is the authority? The levi’im, or Yeshua? And did Yeshua give authority to the existing priesthood to ‘truely’ accomplish the original Torah conditions, or does He act as cohen hagadol, and are we believers now the priests offering sacrifices daily, with our lives? How can anyone go to the book of Hebrews and use it to indicate NO CHANGE AT ALL/same terms as the old covenant is beyond me. Because the entire book is about the change of the priesthood, which in turn impiles a change in the law, no neccesitates one. And I have a hard time grasping how Messiah comes back to redeem Yisrael in this way only to place us in a state that makes observing the Torah conditions completely impossible. What I understand as ‘not’ the same is the way Torah is ministered. You’ve identified this, but then you (Lancaster) go on to say that though it’s not ministered the same, ‘ITs conditions’ (Torah) remain the same. That makes no sense to me. None of that does. Before we were minstered through Moses and the Torah given us through him. It required a land, a temple/tent, and a priesthood to minister the conditions of this Torah. Anyway, how can you easily obey what has been made impossible to do? Has not the priesthood been changed in regards to the conditions defined in the Sinai covenant? And if that has been rearranged, how is it possible to ‘offer sacrifices’ as required? As not the whole sacrificial (priesthood) changed, according to the book of Hebrews? You had me going up until I realized you had completely ignored the focus of he book of Hebrews. Actually, I didn’t. It’s just mentioned in previous reviews in this sermon series. Hebrews isn’t about the Priesthood of Melchizedek replacing the Aaronic priesthood, it’s a comparison between two separate priesthoods existing in two separate venues, Aaronic priesthood on Earth (Jerusalem) and Melkizedekian priesthood in the Heavenly Court. To the degree that there will be a third Temple, it seems as if the Aaronic priesthood will be making a comeback, complete with the reinstitution of the sacrifices. Zechariah 14 even speaks of the Gentile nations being commanded to send representatives up to Jerusalem every year for the festival of Sukkot, presumably to offer sacrifices. I don’t want to have to recreate Lancaster’s entire argument since it’s required twenty or thirty sermons to get to this point. You could take a look at my past reviews to see what you can glean or listen to Lancaster’s sermon series (it’ll take awhile) to get his original message. I appreciate that James, and understand. I was just going off what you had said in this blog post. Ever wonder why it’s only sukkot that is mentioned? I believe it indicates the ingathering of all nations to God. I do not believe it indicates the contination of the Torah conditions defined at Sinai that will then be applied to all the nations. I will have to investigate your prior reviews more. Though this issue has always been the sticking point for me with any understanding of Torah continuing the same as before Messiah came. The points that the levitical priesthood still functions, and that Messiah has not in any way effected the New Covenant yet. I find these two things to be false. And have yet to be convinced by man or Spirit otherwise. It is believed that another thing Messiah will do is teach Torah correctly including the “hidden” parts of the Torah which humans were not able to understand before. This isn’t to say that the Torah will function in exactly the same way it does not or did in the days of Jesus (or the days of Moses), but until Heaven and Earth pass away, not one jot or tittle of the Torah passes away. The priesthood belongs to Aaron and his son’s for a perpetual/throughout all generations, in otherwords it cannot end. As D.T Lancaster explains, Hebrews is speaking of two different venues, a priesthood in heaven (Melkizedek) and the priesthood on earth (Aaronic). Yeshua could not officiate as a kohen in the earthly Temple because it would be a breach in the Torah and so he would be a transgressor (G-d forbid)! Only the Levites can do so, and Messiah is from the tribe of Judah as it well known. The obvious reason why things were going to change is because the Temple was going to be destroyed by the Romans and their would be a suspension of the Temple sacrifices due to the obvious – no Temple. A major part of the Torah commands have to do with the Temple and the commanded sacrifices etc, but this is not the first time the Israelites were without a Temple and it’s duties, during the days of Jeremiah the Temple was destroyed by the Babylonians and the Jews were without sacrifices for 70 yrs. @James but until Heaven and Earth pass away, not one jot or tittle of the Torah passes away. “the sun will be darkened, and the moon will not give it’s light, and the stars will be falling from heaven, and the powers in the heavens will be shaken”. THEN they (the nations of the world) will see the Son of Man coming in the clouds with great power and glory. He promised the disciples that their generation will not pass away untill all these things take place. Heaven and earth will pass away, but YESHUA’s words will last forever. 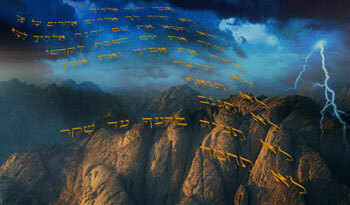 This implies to me that the Torah given Moses will fade away at his coming, but the Words of Yeshua will last forever. “There will not be left here one stone…….. WHEN! When will this be? How will we know (what sign)? 24″But in those days, after that tribulation, the sun will be darkened, and the moon will not give its light,25and the stars will be falling from heaven, and the powers in the heavens will be shaken.26And then they will see the Son of Man coming in clouds with great power and glory.27And then he will send out the angels and gather his elect from the four winds, from the ends of the earth to the ends of heaven. THEN the Son of Man comes to redeem. 28″From the fig tree learn its lesson: as soon as its branch becomes tender and puts out its leaves, you know that summer is near.29So also, when you see these things taking place, you know that he is near, at the very gates.30Truly, I say to you, this generation will not pass away until all these things take place.31 Heaven and earth will pass away, but my words will not pass away. WHEN we see these things take place we know the end is near. THIS generation will not pass until all these things take place….Heaven and earth passing way…but Yeshua’s words remain forever. So, I see heaven and earth passing away BEFORE the return of Messiah. Or at least at his coming. According to Mark 13 the heavens are shaken are removed (fall from the heavens), THEN the nations see the glory of his coming, and he establishes a new heaven and earth. Now, I know this plays havoc with the ‘Messianic Age’ theology were we believe in a 1000 yr intern of Messiah’s reign then the passing and all things being made new. But I was struck by this chapter recently when I noticed this ‘timeline’ here. And it made me think. Does heaven and earth pass away AT Messiah’s coming? Does he come in battle and destroy the earth entirely, heavens included? Ohhhhhh eshcatology! (stick finger down throat) 🙂 Have to admit, eshcatology was one of the reasons I first picked up a ‘new testemant’. The answer to all that is kind of complicated and I don’t have the time to craft a proper response (which would end up being a blog post no doubt). Heaven being shaken and stars falling out of the sky (and in a highly mystic vision, what exactly is John describing anyway?) isn’t the same as Heaven (God’s Heavenly realm) and Earth (our planet) ceasing to exist. To me, that doesn’t happen until way, way after the Messianic Age. For the rest of it, I’ll have to get back to you. Sorry, I’m right in the middle of something. I’ll try to craft brief responses to comments but you’re asking for a mini-paper on a weighty theological topic. I understand James. But it’s not John I’m quoting. Whom BTW I love to read. This is taken out of Mark 13 and are the words of Yeshua. Messiah is answering ‘when will the temple be removed, what is the sigh it will happen?’ He’s not giving a mystic vision, he’s talking to the apostles plainly. But this must be viewed in the face of Matthew 5:17-19 and other passages. The Lord says, “Do not think that I have come to abolish the Torah”. It’s pretty clear that if Yeshua came and caused the Torah to fade away then he is not the Messiah (G-d forbid). There is no way around this. @laluque — I never before noticed the exact parallel between Exodus Rabbah 6:1 and Mt.5:18, which says “For truly I say to you, until heaven and earth pass away, not the smallest letter or stroke shall pass from the Law until all is accomplished”. @Shimson — Note, comparing Rev.20:7 and then Rev.21:1 which is shortly afterward, that the new heavens and the new earth do not appear to replace the first ones until after the thousand years of the messianic kingdom have been completed. 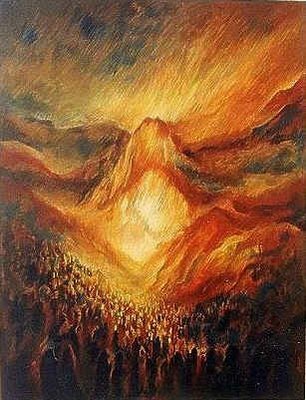 Interestingly, since by that time the Jer.31 new covenant will have become already fully effective, then Torah will have been thoroughly written on Jewish hearts (perhaps also even on non-Jewish ones), and thus it should be carried along with these redeemed resurrected (or raptured) immortals onward into the new regime of new heavens and earth. So Torah in all its finest details should survive even longer than described in Mt.5:18, though perhaps then it will no longer be preserved on scrolls as has been done for the past several millennia. Note also that the English translation of Heb.7:12 using the word “change” is misleading. It would be equally valid, and actually more accurate, to use the word “difference”. This would eliminate the implication of one thing replacing another, allowing a clearer view of the continuing parallel operations of two sanctuaries — the heavenly mikdash where the priesthood is of the Melchitzedekian order, and the earthly mikdash that is modeled on the heavenly one and where the priesthood is of the Levitical order. 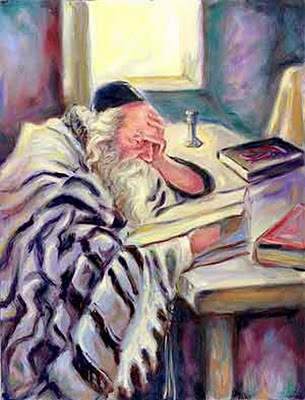 The encouragement offered by the writer of the Hebrews sermonic letter is that the heavenly mikdash does not suffer the limitations of the earthly one and continues to operate effectively even if the operations of the earthly one become temporarily unavailable, interrupted, corrupted, or even destroyed outright. When the Temple is restored along with the Levitical sacrifices and other operations, it will again receive the same authorization from the heavenly mikdash as it did in ancient times. Good explanation above! Yes, the Torah will not pass out of this current world (heaven and earth). We have no idea of what the New Heaven and the New Earth will be like, except that the Righteous will always be with HaShem. There aren’t to many details about the World To Come, but we will get a taste during the Messianic Era (1,000 year reign). The key to just whom receives the New Covenant is within the changing of the Believers from corruption to incorruption. 42 So it is with the resurrection of the dead. When the body is “sown,” it decays; when it is raised, it cannot decay. 43 When sown, it is without dignity; when raised, it will be beautiful. When sown, it is weak; when raised, it will be strong. 44 When sown, it is an ordinary human body; when raised, it will be a body controlled by the Spirit. If there is an ordinary human body, there is also a body controlled by the Spirit… 50 Let me say this, brothers: flesh and blood cannot share in the Kingdom of God, nor can something that decays share in what does not decay. 51 Look, I will tell you a secret — not all of us will die! But we will all be changed! 52 It will take but a moment, the blink of an eye, at the final shofar. For the shofar will sound, and the dead will be raised to live forever, and we too will be changed. 53 For this material which can decay must be clothed with imperishability, this which is mortal must be clothed with immortality. 54 When what decays puts on imperishability and what is mortal puts on immortality, then this passage in the Tanakh will be fulfilled: “Death is swallowed up in victory. When Yehoshua returns, the dead in Yehoshua are raised, and they receive a body of incorruption, in which the Torah is written on the heart, and is controlled by the Holy Spirit. We who are raised incorruptible will behaving as it were by a new set of instincts that prevent us from doing anything that would displease God, and this only because we have given G-d, in our freewill, the right to prevent us from sinning, although it will not prevent us from having freewill in those things that are given us to enjoy freely. We are choosing that Yehoshua will have reign over us in the New Covenant, where we are implanted with Torah, or it’s equivalent in G-d’s eyes, and we will in Grace be enabled to avoid sin automatically. And that will be a blessing indeed! Actually, if you can’t find a direct connection between Jeremiah 31/Ezekiel 36 and the Apostolic Scriptures, you don’t have the key. I wrote what amounts to an eleven or twelve part series chronicling my own investigation and I found out the key is Abraham. Truth indeed. Gentiles cannot get close to dying in Yehoshua without Abraham, anymore than the Jews can, since salvation is by faith. Abraham was saved by faith, even as we are, and then he walked in that faith, looking forward to Mashiach. Abraham is the progenitor of all who have faith in YHVH, and without G-d’s promises to Abraham to his bloodline, and to the nations, we would have nothing. I was speaking to the end result of the promises made to Abraham when the New Covenant is applied to those that believe in Yehoshua, and follow after Him, whether Jew or Gentile. Torah, by itself, cannot give salvation. It is however how Yehoshua wanted us to walk…by imitating Him, and Yehoshua was of all things first a Pharisaic Jew, walking in Torah perfectly. We can’t, being human, which is why there is Grace until we are changed to Incorruptibility. And not being Jewish, nor brought up in Torah Observance, it is best to follow first the weightier matters… and then add what we can of the Torah. Yehoshua values both, but He has set the priority. 23 “Woe to you hypocritical Torah-teachers and P’rushim! You pay your tithes of mint, dill and cumin; but you have neglected the weightier matters of the Torah — justice, mercy, trust. These are the things you should have attended to — without neglecting the others! We become incorruptible not merely by having our body changed to immortal status, but by the exact specifics of G-d’s Torah written into an incorruptible heart. There’s not much point in making people’s bodies incorruptible if their hearts are to remain human. It’s not supposed to. But it is part of what those within Covenant with G-d do, we obey G-d’s Instructions – i.e., Torah that pertains to the individual (Jew or Gentile). Because we do have emunah (faith) we obey G-d’s commands just like Abraham did before the Torah was revealed, actually even before he was circumcised. Questor is right in that simply, mechanically observing the commandments minus faith will justify anyone before God. That was Paul’s main point in his Galatians epistle. Lancaster addresses this issue also in this series of sermons. The sacrifices and Levitical priesthood were never designed to permanently eliminate a person’s sins or to grant them resurrection and immortality in the Messianic Kingdom. Yes, they have their place including in the future Messianic Age, but the Hebrews epistle writer was correct in saying that the New Covenant contains “better promises” because the New Covenant, which builds on the Abrahamic and Sinai covenants although the Abrahamic covenant, or part of it, is the one that has primary impact on Gentile disciples. The notion of approaching the Torah rightly is addressed also in b.Yoma 72b: “If a man is worthy, the Torah becomes for him a medicine of life, but if he is not, it is a deadly poison. This is what Raba explained, ‘If he uses the Torah properly it is a medicine of life unto him, but for him who does not use it properly, it is a deadly poison.’.” . I don’t argue that salvation cannot be attained by observance of the commandments in and by themselves. But neither do i think that is their purpose. What do you understand by what the Master says to the rich young ruler above? Faith is active, evidenced in action. Yes, he knew the commandments. He just had to live by them. See PL’s comment of a few minutes ago. Really enjoyed listening to this recording and reading these comments.